The role of Watson has not been limited to the small or the large screen. It has also been portrayed on the stage. One of the earliest of these was by Claude King, a man that will become much important in another role in Hollywood years later. King played the part of Watson in the 1910 play The Speckled Band. This was the play written by Doyle himself in order to save a disastrous situation in which he found himself. He had taken a six month lease on the Adelphi Theatre and started his play House of Temperley. Doyle called it his boxing play and it was not popular with the women because of the boxing scene. Doyle was exceptionally busy at this time between his writing, the play, his support of political and humanitarian changes for the Belgian Congo (his friend Sir Roger Casement was his inspiration) and the development of his “Autowheel” by a company he was majority holder of. (The Autowheel was essentially what we would call a moped; it didn’t catch on.) 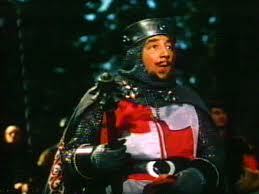 In the middle of all this King Edward died and the theaters went dark. Numerous plays failed including Temperley. Doyle had a problem; he still had a lease on a theatre with no play. The cost could be ruinous. In days he had a play ready The Speckled Band and it opened on 4 June. Sherlock Holmes was played by H.A. Saintsbury who had played Holmes in the Gillette play; in fact he would play Holmes over 1400 times. Dr. Rylott (nobody seems to know why it changed from Roylott) was played by Lyn Harding. Harding would play the same role in the 1931 movie of the play opposite Raymond Massey and would be Moriarty twice opposite Arthur Wontner. Reviews of Saintsbury and Harding are splendid with Harding taking the most kudos. Claude King received good reviews but there is little to be gleaned from them except he did a good job. If his later work is any reflection I believe he did an admirable job. In fact, the script makes Watson an essential character to the plot and a strong noble one. King was born 15 January 1875 in Northampton, England and died 18 September 1941 in Los Angeles, California. He started his acting career in England but in 1919 he moved to the US and the Broadway stage working with people such as Ethel Barrymore. The silent movies had an attraction for King who was a handsome fellow and by 1920 he was on the big screen. He was one of those able to make the transition to talkies and had 137 film credits before his death. He was in the original talking Charlie Chan movie Behind that Curtain (Chan was played by E.L. Park and was in about 10 minutes of the film). His other credits include: Shanghai Express, Sherlock Holmes (1932), Charlie Chan’s Greatest Case, Charlie Chan in London, The Lives of a Bengal Lancer and the Philadelphia Story. His greatest achievement in Hollywood was probably as one of the founding members of the Screen Actors Guild. 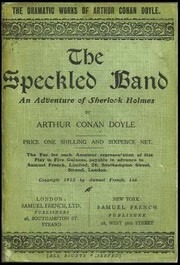 The Adventure of the Speckled Band was a 30 minute TV show in the early days of television. It showed on 4 April 1949 as a part of the Lucky Strike sponsored “Your Show Time”, a series of half hour stories told by “the old bookseller”, Arthur Shields. Each week would be a new story though there can be little doubt that a successful story might lead to a series. You’ll remember Arthur Shields as the ubiquitous Irishman of 30’s and 40’s movies and one of John Fords favorites. For the time (early TV), and considering the time constraint, it wasn’t a bad attempt at the story. Alan Napier played the part of Holmes and does a workman like job but that’s kind of the problem. He was a good actor but there wasn’t any spirit in the character. He lacks enthusiasm for the part and Holmes is played very flat. (If that makes sense.) 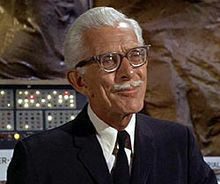 Napier is best remembered for playing Alfred, Batman’s butler, in the 1966 TV series. hour and the still extant commercial almost made me want to pick up smoking again. (Almost) LSMFT! starting with a short film called “All Riot on the Western Front.” He next stared as Inspector Jap in the Agatha Christie film adaptation of “Black Coffee”. He would continue in the movies in the 1930’s and ‘40’s with such films as “The Scarlet Pimpernel”, “Murder Over New York” (Charlie Chan film), “Dawn Patrol” and probably most famously as the Sheriff of Nottingham in “Robin Hood”. Cooper moved on to TV in the late ‘40’s and into the early 1960’s. 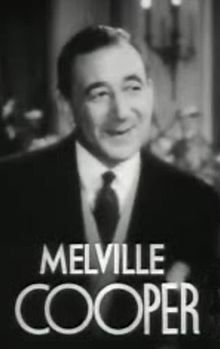 He was a frequent guest star on such shows as Shirley Temple Theater, Alfred Hitchcock Presents, Kraft Theater, and Broadway Television Theater. He was also one of the original panelists on “I’ve Got A Secret”. All the time he was acting on television he was also busy on the Broadway stage. Cooper was married three times and had one daughter. He died of cancer on 31 March 1973. 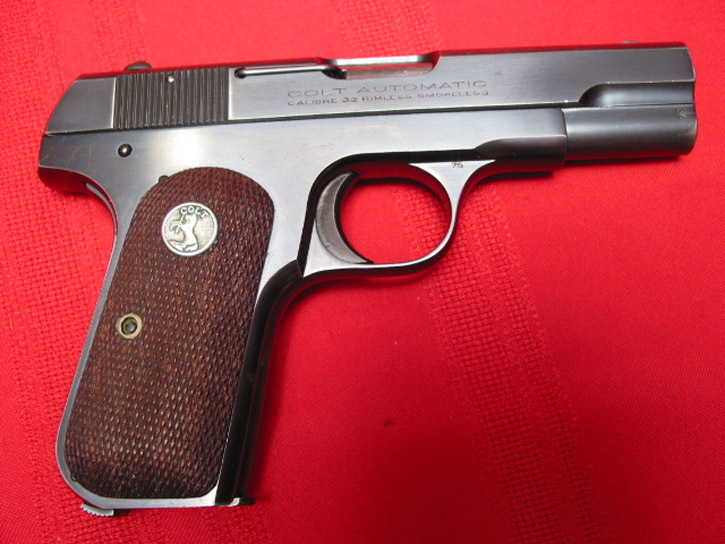 The Colt Model .32 Pocket Pistol was invented by John Browning who would go on to design the ubiquitous Colt M1911 .45 ACP pistol still in use today, a hundred years later, by the US Military. The pistol was made in .32 ACP (Automatic Colt Pistol) and in 1908 was redesigned to shoot .380 cal. pocket pistol when playing the bad guy. About 570,000 Pocket Pistols were made from 1903 until 1945. Considering the quantity made, they still bring a good price. The simplicity of design, double safety (grip and manual), covered hammer (doesn’t get caught on a coat pocket when you need it NOW) and magazine capacity, all made the Model 1903 a very popular gun. 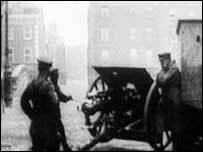 were harassed by local citizens and in retaliation the army fired on the crowd at Bachelors Walk on the Liffey River. The incident helped the Volunteer cause. There are contradictory accounts about the exact amount of ammunition that was landed. It varies between 25 and 29 thousand rounds. In either case, that’s less than 20 rounds per man. The Volunteers would have to learn to shoot without pulling the trigger. The M71 was a single shot, bolt action rifle that fired an 11mm, black powder cartridge, roughly .45 cal. This type ammunition was not readily available in the United Kingdom so each round was precious. The .303 cartridge was the standard of the British Empire and would be used by both sides in other weapons. The M71 was sold to China, Japan, Serbia and the Transvaal (another country that had fought the British Empire, twice). There were only a handful of “Krags” taken from the rebels at the end of the rising in 1916 but how they arrived in Ireland is quite a story. The Krag was designed by Ole Johannes Krag and Erik Jorgensen, two Norwegians, in the late 1880’s and by 1892 it was the standard US Army Rifle. It was produced under license in caliber .30-40 US. The Krag was the standard rifle of Norway and Sweden (in the Swedish 6.5mm) and would be produced through WWII under Nazi control. Krag could be loaded with loose rounds from the side with the bolt closed and ready to fire. This type side loading meant that soldiers could “top off” the magazine without waiting to run out of bullets. 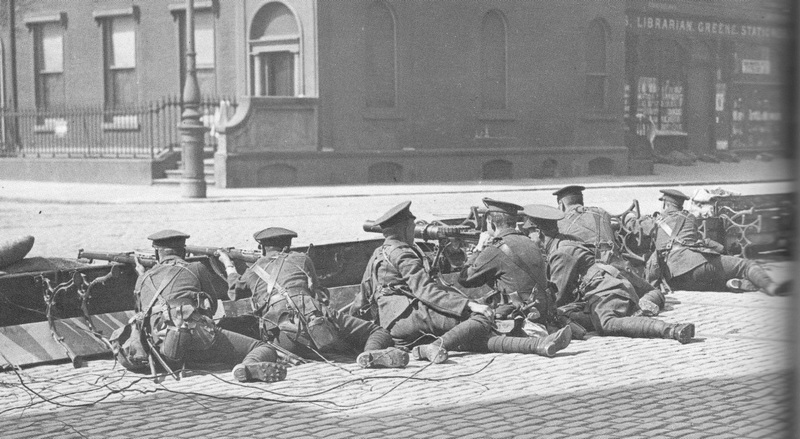 the Irish Brigade in support of the Boers against England in the Second Boer War. Norway had delivered 300 Krags to the Transvaal forces shortly before the war. These rifles were remnants of that lost conflict. In fact, the slouch hats, with the sides turned up, worn by the ICA was in honor of the Boers. The Second Boer War had not been overly popular in Ireland. The SMLE or Short, Magazine, Lee-Enfield No.1 Mark I was officially adopted into British Service in 1902. It was the work horse of the British Army in WWI and up through 1926. It remained in service through WWII and beyond. The No. 1 was made in huge numbers in the Mark III configuration adopted in 1907. The Enfield, as we’ll call it for short, was a mating of the Lee bolt action and magazine (formerly used in the Lee-Metford) and the Enfield rifling system used for small bore smokeless powder cartridges. The “Short” in SMLE refers to the length of the rifle. It is shorter than the old infantry rifle and longer than a carbine. The “magazine” is self-explanatory. Enfield was known both for its rapidity of fire and for its accuracy. other magazine designs. By 1916 these weapons were on the market as surplus. The Beaumont-Vitali was a black powder cartridge in caliber 11.35 x 52 mm. That meant that it’s ammunition was not interchangeable with the Howth Mauser. Another problem for people trying to keep the rebels supplied. The “Gun, Lewis, .303-cal.” was a tremendous innovation. It put the power of a machine gun in the hands of soldiers down to the squad level. It was light (comparatively), could be carried by one man and one or more ammunition bearers. The pan magazine on top held 47 or 96 rounds and was quickly interchangeable. The British made great use of these against the rebels. The Lewis Gun was invented by a US Army Colonel named Issac Lewis in 1911. Lewis met road blocks from General William Crozier who was head of Ordnance. The two never got along and Crozier didn’t like the idea of a light machine gun. In 1913 Lewis retired from the army and took his invention to Belgium where he got a contract from the Belgian government and set up shop. The Belgian weapon would use the British .303 round. To work out some production issues he worked with the Birmingham Small Arms Company (BSA). In 1914 the British Government purchased a license to build the weapon themselves and soon there were tens of thousands of them. 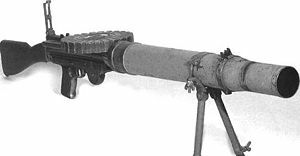 The Lewis gun was also adapted for use on aircraft as well as for infantry. The US Marines and Navy also adopted the Lewis Gun but never the Army. The Model 1914 was manufactured both by BSA in the UK and Savage Arms in the US. Nations were still using the Lewis through the Korean War. They are now one of the Holy Grails of Class III collectors. You might remember the Lewis Gun being used by Chewbacca the Wookie in Star Wars as a laser machine gun. Emergency Correction – I have been informed by a reliable source (thanks, Bobby) that Chewy carried a “Bowcaster” and the Lewis Gun was used by the “Imperial Troops” as the “Imperial, T-11 Repeating Blaster”. The Mauser C96 was the first truly successful semi-automatic handgun. It was originaly manufactured by Mauser in Germany and quickly became popular, seeing action in the Boer War only three years later. By the end of production in 1937 Mauser had made over one million. Add to that the unlicensed production in Spain and China and no one knows what the real numbers are. The pistol was originally produced in 7.63 x 25 mm. The one shown above has a 9 inscibed on the handle which designates it was produced in 9mm so the ammunition could be shared with the 9mm Luger. The 7.63 cal. was the most powerful pistol cartridge until the introduction of the .357 Magnum in 1935. The most identifiable parts of the pistol are the box magazine forward of the trigger guard, the detachable wood stock that also acts as a holster and the straight blowback action. This weapon was exceedingly popular with both Winston Churchill, who carried a brace of them in the Boer War, and the Irish Volunteer officer corps. In English Speaking countries the weapon was nicknamed a “Broomhandle” based on the form of the grip. In Ireland it was frequently called a “Peter the Painter” since a C96 was allegedly used by the anarchist Peter the Painter in the Sidney Street Siege of 1911. The C96 was another star of the Star Wars movies. Han Solo carried one on his hip all the time. 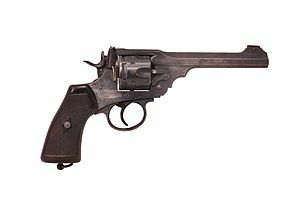 The Webley Revolver was the standard sidearm of the British Forces. It was issued starting in 1887 and had the advantage of being a break-top action. That means it opened by folding in half exposing all six chambers in the cylinder at the same time. When it was opened it ejected all the spent cartridges at the same time and could be loaded quickly. It was issued in .455 caliber with a very heavy and effective bullet. It saw minor changes over the years but the Mark VI was the most common in the WWI era. The Volunteers were at a definite disadvantage when it came to heavier weapons systems. There was a training battery of artillery at Athlone when the Rising started and it was quickly brought into play to put down the rebels. The 18-pounder was actually a light artillery piece that had very limited ammunition choices available. 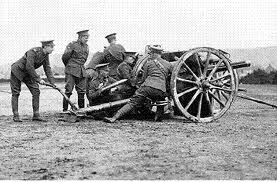 When the Great War started in 1914 the British Army had numerous batteries of 18-pounders. Their only ammunition choice was a Shrapnel round which was anti-personnel not anti-materiel. Major General Shrapnel (1761-1842), an artillery officer of the British Army, designed an artillery round, that , when fired, went down range before expelling hundreds of musket balls toward the enemy. It worked wonderfully on troops in the open, but once in buildings or dug in, this type round was very survivable. As WWI progressed to a trench warfare stalemate it became obvious that High Explosive (HE) and other artillery shells were needed for the 18-pounders. By late September 1914, HE was available, but in true cost saving measures Amatol was chosen as the filler for the shells. While cheap to make (ammonium nitrate and TNT) they lacked explosive power. I kept from writing this one up until the week before the Great Sherlock Holmes Debate even though I know that my words may be used against me on the 10th of November. Someone was bound to move Sherlock Holmes and Dr. Watson into the 21st Century and Benedict Cumberbatch and Martin Freeman have done it superbly! There, I said it! The BBC TV shows have taken Holmes and Watson and placed them into 2011 not with some stilted and artificial cookie cutter approach, but by truly melding them into the current day. The spirit of Doyle is alive in the persons of Holmes and Watson. Cumberbatch is the essential thinking machine and Watson is a man of action and feeling. Even Una Stubbs as Mrs. Hudson is perfect. time. Hunting for answers? Interesting. Cumberbatch and Freeman are the perfect team for the new Holmes and Watson of the 21st century. 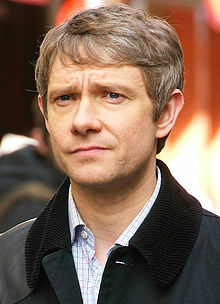 Martin Freeman was born 8 September 1971 and has already had a career that would be the envy of any actor. He is the youngest of five children. He and his wife, actress Amanda Abbington have appeared together in numerous films. He has two children, a son named Joe and a daughter named Grace. He has a TV and movie career that dates back to 1997 with 58 rolls to his credit. The new Sherlock series is to be released in January 2012 and he has five other projects underway that are in different points of production. These projects include two Hobbit movies. One of my favorite films was the Hitchhikers Guide to the Galaxy. Freeman was brought up as a Roman Catholic and educated in Catholic Schools. He also attended Central School of Speech and Drama in London. Besides TV and movies he has an impressive list of credits in theater and radio. He is at home doing comedy (for which he is probably better known: The Office, etc.) as he is doing serious drama. He has accomplished something that has been denied to Jeremy Brett, he won a BAFTA for his role in a Holmes story, as Dr. Watson in A Study in Pink. He is also a big fan of Motown music. I hope he and Cumberbatch have a long and successful career as the modern day Holmes and Watson. Ever wonder what happened to Holmes and Watson after His Last Bow? I have too. Just like I always wondered what happened to Watson in the Second Afghan War. In Watson’s Afghan Adventure I attempted to answer the questions we all had about what really brought Watson to 221B Baker Street and the greatest partnership in mystery history (perhaps in all history). 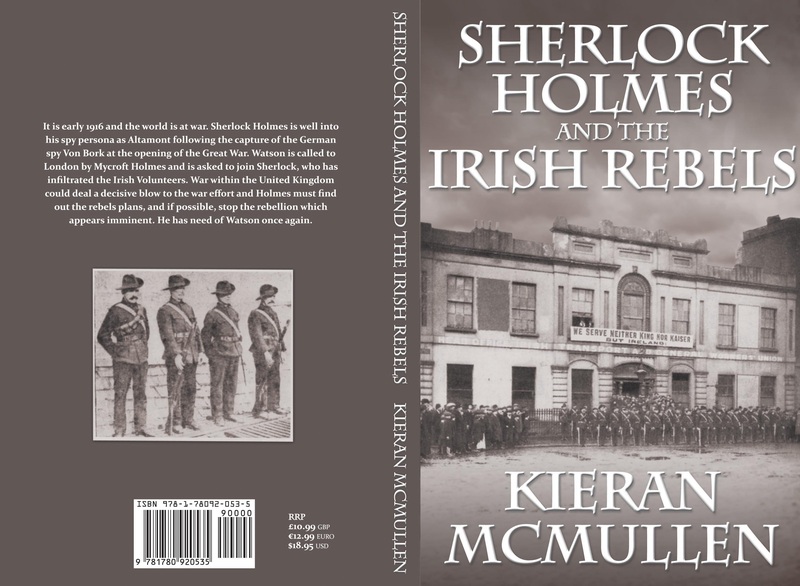 Sherlock Holmes and the Irish Rebels tells part of the story after Holmes and Watson crushed the German spy ring led by Von Bork during the start of the Great War. But what happened next? The change from criminal detective to master spy changed Holmes’s life entirely. Holmes had spent over a year designing and living the character Altamont, the Irish- American, English hating member of secret societies determined to overthrow the occupation of Ireland by the English. After so much hard work would Holmes throw away all that effort? Or would his next task be to help keep Ireland in the Union and prevent it from becoming a back door for German aggression? emotions as he and Holmes infiltrate the Rebel cause and fight the corruption they find in foiling a plot of a corrupt Detective of the Dublin Metropolitan Police. It is one of their last and most important cases. 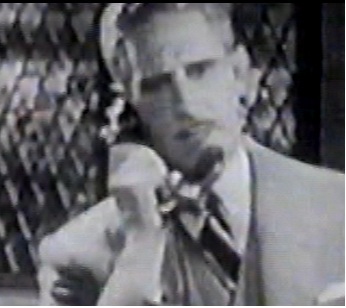 Arthur M. Cullin played the role of Dr. Watson twice in his career in film. The first time was in the 1916 G.B. Samuelson Productions film The Valley of Fear. Unfortunately this is a lost film. Cullin played opposite H.A. 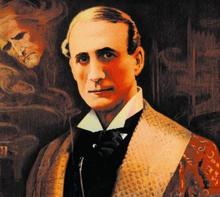 Saintsbury as Sherlock Holmes. The second time Cullin played Dr. Watson was in the 1923 silent film The Sign of Four. Eille Norwood played Holmes in 47 separate movies. Forty-five of these films were basically shorts which ran about twenty minutes each and two were feature films. In all these films, except one, Dr. Watson was played by Hubert Willis (who was profiled earlier in this blog). Arthur Cullin was that one exception. Isobel Elsom was chosen to play the part of Mary Morstan and the executives of Stoll Studios, that produced the films, felt that a younger Watson was needed as the love interest. In this they were assuredly correct just based on the example of Crucifer of Blood with Charlton Heston. The movie Sign of Four still exists in a private collection and one can only hope that someday it will be copied and released on DVD by a conservation trust. From the accounts available from the time of release the movie follows the book in spirit if not in exact detail. For example; the characters are updated to the 1920’s and instead of Holmes and Watson chasing the bad guys down the river in boats, the bad guys chase Holmes and Watson. Our heroes are in a boat on the Thames and the bad guys in a car running along the river. The chase scene took 29 days to film, unheard of today and even then considered exceptional. If the critic from Variety is to be believed this silent film was the first version of the Guy Ritchie Holmes. 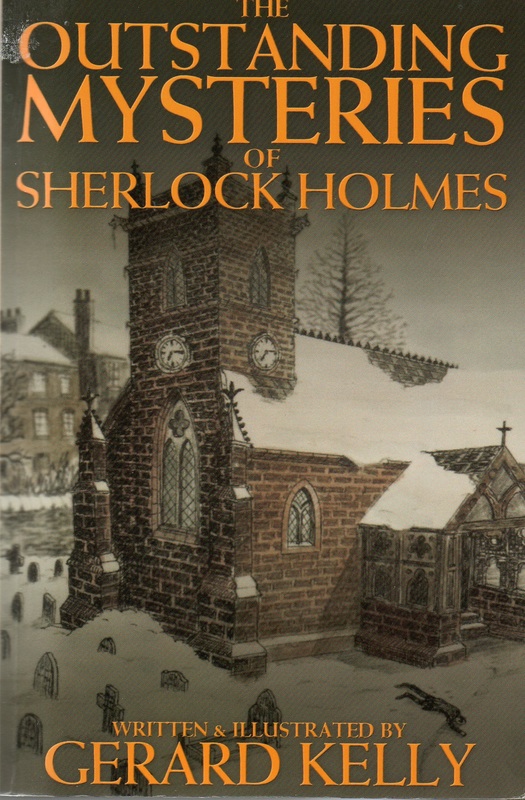 In his review hestates “Maurice Elvey (director) has seized every opportunity the story gives and the result is a ‘Sherlock Holmes’ story which is fine entertainment of the strong, sensational type.” It seems that Stoll Film Company was trying to make Holmes more saleable in the US and so started the transition of Holmes to “action figure” status. The Sign of Four also adapted the story by having Holmes explain parts of the mystery as they worked through it rather than using the original stories long, drawn out explanation and flashback at the end. In fact, the use of the ongoing explanation and an overlay of figures on the characters talking was a piece of cinema history. 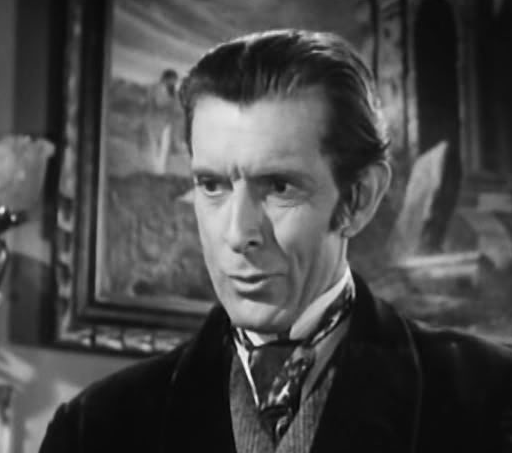 Holmes also breaks the fourth wall by turning to the audience (camera) and exclaiming, “This is going to be exciting”. Doyle was alive at the time the Eille Norwood movies were made and was very happy with Norwood and the films in general. His only outstanding complaint was that the characters were brought into the 1920’s and not left where it is “always 1895”. Arthur Cullin was the right choice for Watson in this case, although, he was significantly younger than Holmes. It was a concession that had to be made if Norwood was to be Holmes. Cullin was a fine Watson, at least according to the critics. He was active in the movies from 1914 through 1924 and then drops out of sight. He was born in London and was out of the business before talkies came along. His first movie was England’s Menace in 1914. I have failed miserably in finding a single photograph of the man. The Outstanding Mysteries of Sherlock Holmes is a pleasant collection of tales of our two favorite characters. Someone said it is a “Baker’s Street Dozen” (the book cover) and they are correct. It is a series of 13 short stories that range from good to excellent. I read it while flying back and forth across the Atlantic and found it made the long trip much shorter. I suspect most Holmes fans will find this a good read though the die-hard Doyle aficionado will, I’m sure, complain of some inconsistencies of speech or format. I found all the usual characters one would expect – Mrs. Hudson, Inspector Lestrade, Mycroft. And there is a good feel to the book overall as being in the tradition, if not the exact style, of Doyle. 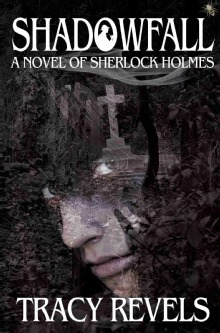 Each story is well thought out and requires some thought to solve before Holmes does but I bet some of you can do it. A couple of the stories seemed familiar and upon reaching home I was able to find them in my library. Some of these short stories had been published in other volumes. I recommend this book of stories highly for your next trip.